Thierry, Yvonne and their daughter Célia welcome you in their holiday-home with private outdoor Whirlpool in Crillon le Brave, in the heart of the Provence, at the foot of the famous Mont Ventoux. At Le Jas du Ventoux, a one-floor and fully south orientated house, you will be charmed by the atmosphere of serenity and calm. 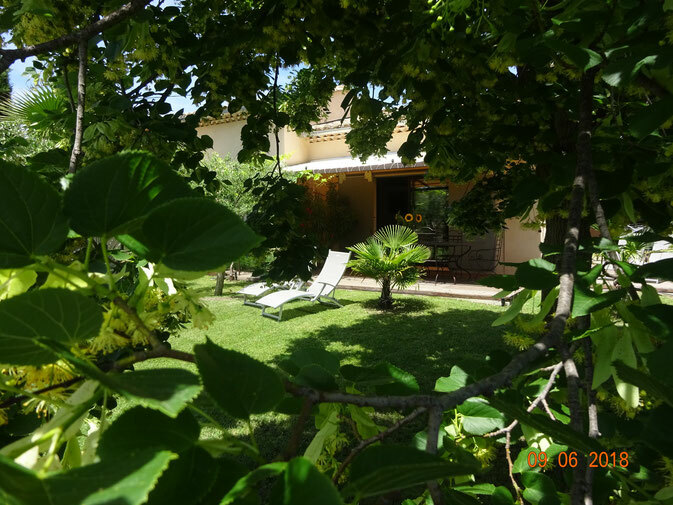 The gîte is situated nearby the authentic villages of Crillon le Brave and Bedoin and less than 1 km from the nearest walking and cycling routes in the Madeleine and Mont Ventoux area. Spend your holidays at Le Jas du Ventoux, your holiday home between Mont Ventoux and Luberon, whether you like to visit the beautiful Provence, discover the walking and cycling routes in the Mont Ventoux area or simply spent your time lazily appreciating the Provençal lifestyle.